When will be Wedding Surprises: Caught on Camera next episode air date? Is Wedding Surprises: Caught on Camera renewed or cancelled? Where to countdown Wedding Surprises: Caught on Camera air dates? Is Wedding Surprises: Caught on Camera worth watching? Jaw-dropping clips showing what happens when weddings don't go as expected.From proposals that don't go to plan to the best man given a £50,0000 surprise, plus weddings washed away by floods, hurricanes on honeymoons and how a bride's big day went up in smoke. The programme reveals how the Queen became a wedding crasher – and how a bride gave her groom the surprise of his life at the altar. Tears, laughter and pranks, plus moments when the bride wore white while her face was red – all of it caught on camera. Wedding Surprises: Caught on Camera next episode air date provides TVMaze for you.  EpisoDate.com is your TV show guide to Countdown Wedding Surprises: Caught on Camera Episode Air Dates and to stay in touch with Wedding Surprises: Caught on Camera next episode Air Date and your others favorite TV Shows. Add the shows you like to a "Watchlist" and let the site take it from there.